Queensland companies have secured approximately $1.5 billion in contracts for work on Rio Tinto’s world-class Amrun bauxite project on Cape York Peninsula, the company has said in a statement. The soon-to-be competed project, which has been built using local companies, is supporting more than 1,200 workers, including 900 Queenslanders. Queensland Premier Annastacia Palaszczuk, who visited the project alongside Rio Tinto chief executive Jean-Sébastien Jacques, said the giant miner spent A$2.1 billion with Australian companies, of which two thirds has been with local Queensland business. 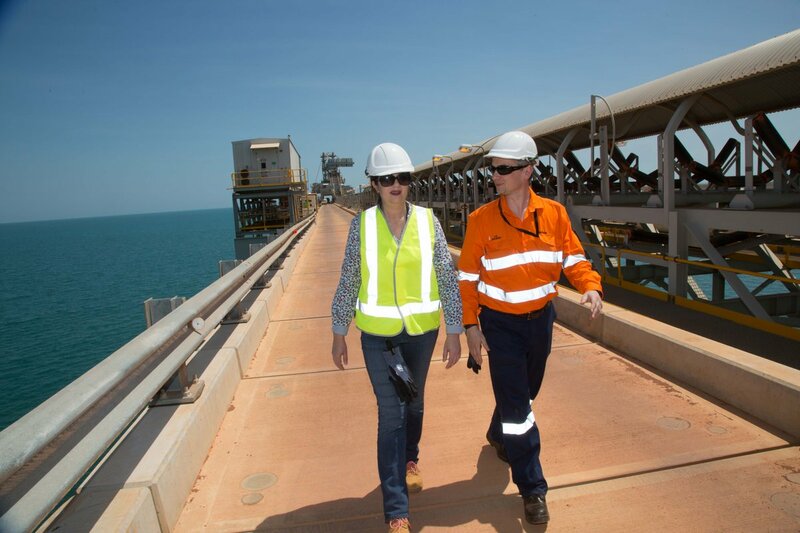 “It is a tremendous achievement that more than 770 Queensland businesses have been engaged directly and indirectly to supply goods and services at the Amrun Project,” the Premier stated. Mr Jacques said Rio Tinto had been fully committed to provide opportunities for Queensland businesses to contribute to the project through its Local and Indigenous Participation Plan. “This approach has provided a significant boost to the Queensland economy and to the people in the communities where we operate,” he continued. According to Rio Tinto’s statement, first production and shipping is now expected before the end of 2018, as soon as the ship loader – the final major piece of infrastructure for the project – comes online.